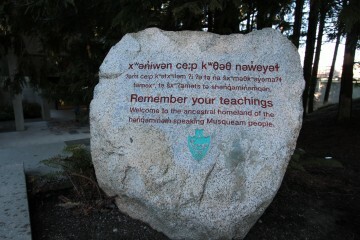 The Musqueam people have lived in the present location for thousands of years. Their traditional territory occupies what is now Vancouver and the surrounding areas. The name ‘Musqueam’ relates to the river grass, məθkʷəy̓. The Musqueam people are known as “People of the River Grass”.